The average photographer who upgrades his camera kit first goes for a top-class flash after settling the lenses and camera. Yes, that is right that the modern DSLRs come with the inbuilt flash kits, but they do come in small sizes and that not provide enough focus and thus end in relatively ineffective in different types of environments. So, some companies have started designing quality external flashes to provide the adjustments and control in photography. 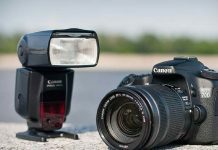 DSLR owners especially who own Canon or Nikon like top-branded cameras, do not want to compromise with the quality of the professional flash kits. Altura Photo is one of the best brands which provides the external flash for Canon, Nikon, and other DSLRs. Here I will provide the review of a budget shoe mount flash for the modern cameras. It comes with wireless flash trigger set which offers double capabilities of wireless camera trigger and off-camera flash for the distance up to 100 ft. The Altura Photo Professional Kit is a dedicated flash for Canon which comes with an easy to use E-TTL mode to provide exceptional output in your photography. It has an outstanding build quality available at cheap price. This external Canon flash comes with wireless trigger sensor, inbuilt Slave modes, AF Illuminator, a zooming head powered by the motor, faster recycling time, and much more. All these together makes it one of the best external flashes for Canon and other DSLRs. 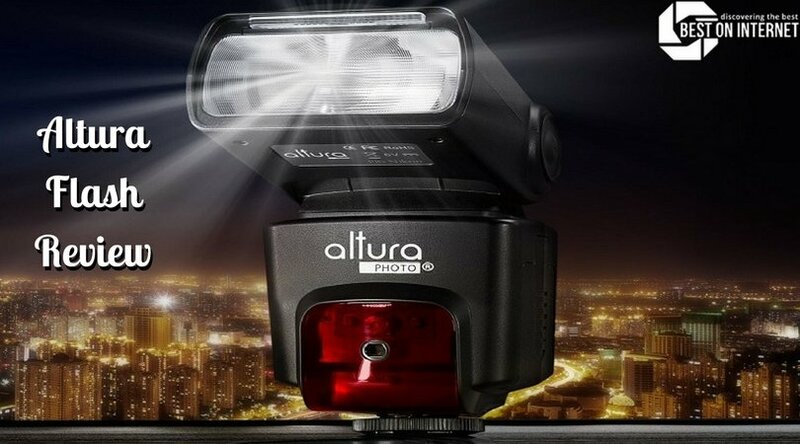 You can use the Altura flash as a professional grade flash using its full TTL metering. The manual and full automatic mode make your photography tasks easier like never before. The wireless triggering provides the simple solution for the photography in an off-camera manual flash. This professional flash kit from Altura Photo comes with a backlit display which is easy to read because of its large screen. It comes with a zoom range of 24 to 105mm in 7 steps of auto and manual modes. It is running on four AA batteries which help it to work for longer times without recharging. Why should you use Altura Flash for Canon DSLRs? The main purpose of an external flash is to illuminate the darkness of the scene. The compatible flash of the camera helps to make adjustments with the necessary intensity of flashes. You may know that the intensity of the flash is the brightness and color adjustments which are made to get the desired picture. This Altura Flash for Canon is compatible with a wide range of DSLR models like Canon Rebel T5i, T4i, T3, T3i, T2i, T1i, XT, XTi, XSi, SL1, EOS 1100D, 1000D, 700D, 650D, 600D, 550D, 500D, 450D, 100D, 70D, 60D, Powershot models and many more. The Neewer flash is used in wide range of DSLR cameras and offers great vertical and horizontal rotations to provide high adaptability. On the other hand, the Altura Photo Professional grade flash comes with E-TTL metering which ables you to use it in both the manual and automatic modes. The Altura AP C10001 comes with a 7-step zoom range of 24, 28, 35, 50, 70, 80, 105mm and power range of 1/28 and 1/1. 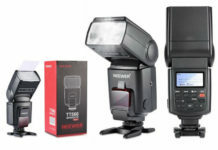 While the Neewer TT560 Speedlight Flash has eight power settings ranging from 1/128 to 1/1 which helps in saving the power consumption and make the flash working for a longer time. The Neewer TT560 comes with eight LED indicators to show the status of the functions while the Altura Photo AP C10001 comes with a large LCD screen with easy-to-read fonts. What Altura Photo Flash lacks? Yes, there are some improvements still needed to make the Altura Photo Professional Kit be the best Canon Speedlight flash, but the feature it contains and the price it has, both make it a better choice than many of its competitions. The company had also introduced some other models of external flashes at cheap rates like AP-N1001, AP-UNV1, APC-958X, etc. which helps the professional photographers of all levels to choose the perfect match for their Canon, Nikon, and other DSLRs. The Altura Photo Professional is a great kit available at low cost. The E-TTL mode makes it a real value for money external flash for the modern camera owners.